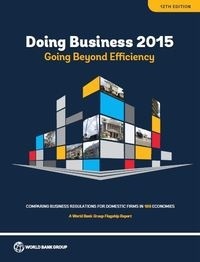 The connection between practice and theory of development and business in Egypt over the last 20 years. In the late 1980s, the concept of embedded autonomy became central to the literature of economic development in East Asia. Rapid economic growth in South Korea, Taiwan and Japan was attributed to the state role in development (Johnson 1982, Wade 1990, Evans 1985). The state embedded itself in the social networks of the entrepreneurs. This model of the developmental state credit that the success in East Asia to the state's structure and role in prioritizing the achievement of rapid economic development as a national goal, exerting control over private capital, and acquiring a strong administrative bureaucracy that was built on merit and protected from political influence (Polidano 1998, Wade 1992, Evans et al 1985, Henderson and Appelbaum 1992). In the original formulation of the concept of embedded autonomy, the state embeds itself in the surrounding social networks and directs it to facilitate industrial transformation and thus, boost its economy. 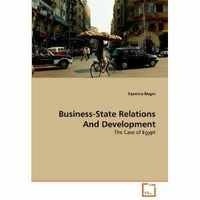 On the other extreme, the Egyptian case provides a contrary example to the Evans model when in the mid-1980s as a new phenomenon emerged where businessmen attempted to embed themselves within the state administration. Corporate Social Responsibility Manager at Orascom Telecom Holding and an expert in Political Science, Anthropology and Economics.